One question that bothers me is why would Reeva slam the toilet door if she heard Oscar shouting at an intruder? If she was scared she wouldn’t of slammed the door, it doesn’t make sense. Now the defence explains the opening of the window as Reeva wanting to get some fresh air! Really? She was sleeping on the right side of the bed next to an open baloney door. Why would she open the window it all the way and then slam it into the frame? I wonder if the judge will consider these little details. Why would she open a window and not put the light on, go into a pitch dark toilet room and close the door? She wouldn’t. It’s just nonsense. Let’s not forget, on Oscar’s version, he is awake and moving fans when she got up, so of course she would put on a light.. They were both supposedly out of bed and awake at that time. No need to creep around in the pitch dark. The Defence made a claim that was not refuted by the State that an analysis of RS whatsapp messages revealed RS regularly made whatsapp messages from the toilet in the wee hours of the morning. They also addressed the window opening – but of course it is all nonsense because everyone claims to know that OP was on a pre-meditated murder mission that morning. I had hoped someone would go through the Defence HoA and explain why it could not be true (they are providing the reasonable doubt) but no-one here or on websleughs are doing this – but Judge Masipa has to do this otherwise it would be grounds for an appeal? It seems very simple – smash the defence HoA and Closing Arguments and you have the conviction for murder of RS – but no-one has done this. 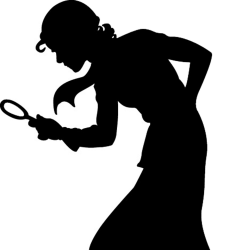 If it can be disproved – disprove it … but don’t misrepresent the Defence’s arguments and then disprove something else – the Defence’s HoA has to be tackled head on. I believe this was just good tactics on Nel’s part. When questioned by the judge about Roux’s timeline, he responded that only the actual times of the calls were common cause, clearly implying that the rest of the timeline was in dispute. The judge and her 2 assessors are not idiots and can work things out for themselves. Roux obviously had to try to sell the defense’s twisted version to them because that’s what the Pistorius family is paying him to do. A good prosecutor does not leave ‘room’ for the judge/accessors to figure it out themselves. His job is to remove ANY doubt put forth by the defence. The inaccurate explanation of the timeline as set forth by the defense was not argued ” later” by Nel, unless i missed something in the state’s head of arguments. Ps – I accept that it is not up to you to disprove it – it was up to the State to disprove it as a possible means of reasonable doubt. It just that I see too many commentators saying the Defences HoA is nonsense, is incorrect etc but with nothing to back that claim up. If you look at the defence closing at 34.28 Roux clearly states, when he (Oscar) came in (from balcony). Is this a slip up and will the judge take any notice of it? Big OOPS from Roux there. So which version was Roux working from….it seems like the Bail version. “WHEN HE CAME IN” means that Roux’s understanding is that OP went out on the balcony in the version presented to him. Also worth noting is that in the Bail Affidavit version OP clearly states he drew the blinds as well. Effectively this act would add a few seconds to allow for Reeva to get to the bathroom to open the window in the story being concocted. Thus we see why it is included. in the versions given at trial the blinds being drawn no longer takes place. No explanation for this was given. This must be a serious matter for the DT for OP to change story. Losing a few seconds is made up for by adding in moving a second fan so that issue is no longer live but to change story when at first glance there is no good solid reason appears most unwise. The answer probably lies in the difficulties the blinds pose to claims of going out onto the balcony and back in again , including unlocking and opening the doors without letting light into the room and having to draw back the curtains to do so with the blinds being drawn. No slipping between the curtains seems credible with the blinds drawn. Remember this was supposedly done while holding a gun, in his testimony versions. There are also problems with the claimed feeling the curtain to see if Reeva was behind them aspects of the supposed search for Reeva with the blinds also being drawn. Overall it seems that for later parts of his story to appear credible the issue of the blinds became critical and the claim of drawing the curtains in the first story HAD to be abandoned by OP..
in regards to the selection of 3.17 by the DT for the second set of noises being the cricket bat there is a serious time issue in regards to OP’s account that means it is doomed to failure. 3.17 and zero seconds can be used as the TIME the DT claim. AT 3.18:45 OP’s phone made a connection with the local cell tower due to it being activated. That gives a time of 1 minute and 45 seconds for OP to do a number of things as per his version. He claims to do more than realistically seems possible. Running to bathroom to switch on phone. There is NOT enough time for OP’s version to be true with the 3.17:00 time for the second noises. The DT timeline means OP’s version FAILS. The DT timeline fails to take account of OP’s testimony of the 15th of April in which he places himself inside the toilet “A COUPLE OF MINUTES (2) AFTER THE INCIDENT”. The context of his evidence when he said that makes it clear the word “INCIDENT” means the firing of the shots. Those that may try to claim the word “incident” may mean something else are referred to OP’s testimony on 10th of April Session 3 in which he also uses the term “INCIDENT” in regards to the firing of the shots. The PT claims about the second sounds being the shots in the “region of 3.17” does actually permit OP to be inside the toilet within a couple of minutes of the shots being fired. Thanks Juror13! Great work again! This picture indicates that the window was NOT pushed opened all the way to slam into a frame( as OP wants judge to believe) that would make noise loud enough to be heard from his bedroom as the 2 fans were running, according to OP’s version. Why did’nt Nel argue this point, to prove how OP’s version does not match the evidence and to untruth of this “startle” response? ?The second startle response was also not corroborated by the evidence as found . (wood moving noise ).. OP’s version is truly a mosaic of a tailored version to justify the circumstances that led him to shoot thru that door 4x with no imminent threat facing him. Hi Ruthy – This is a good point. I used to live in an apartment with similar sliding windows and the window looked pretty much the same when it was opened all the way. There may well be a stopper (not visible in the pic) on the lower window sill to prevent the window sliding too far. I agree that it could have been established in court whether this was in fact the case, as it would certainly have reinforced the state’s argument. There are so many bits of evidence that Gerrie Nel could have used and he could have disputed a lot of the “facts” presented in the defense HoA but his calm demeanor suggested that he knows he has done more than enough to nail OP. Great find Juror13, This certainly puts to rest his lame excuse of the ‘noise’ of bathroom window slamming against the frame that prompted him to get the gun. 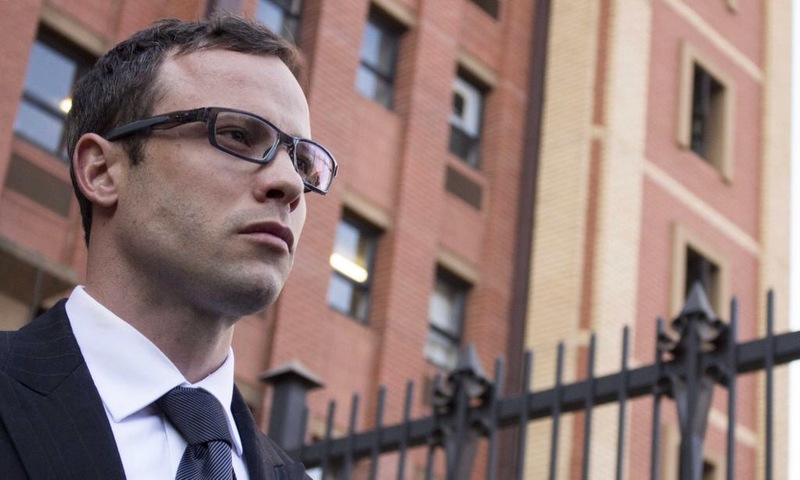 If only Gerrie Nel had made that argument…so what did prompt OP to get the gun and shoot? Reeva hears OP from no more than 15 feet away shout out “Reeva call the police”. The toilet door was open as it must be for it to be slammed in a supposed response. According to OP’s version she had voided her bladder and is dressed. She would be able to tell he was in the passage very close by from hearing him. There is no reason for her not to go join the nearby OP who wants her to call the police but has not explained why.He is so close by it would take only a few steps and a few mere seconds to be at his side to find out what may be going on or not. Door slammed shut and locked and Reeva’s total silence make no sense. OP’s version needs to make sense not just from his viewpoint but also from the viewpoint of how Reeva reacted to what he claims the circumstances were. While OP may or may not have grounds to claim some odd responses to some situations the same cannot be said to apply to Reeva and her supposed actions. Consequently OP’s version should be rejected as being so improbable it cannot reasonably possibly be true. I think they fought. At some point, she ran into the toilet to get away. She threatened to call the police and he shot her to stop her from doing that. She screamed bloody murder and he shot her 3 more times to shut her up. That being said, and this is only me, I totally go to the bathroom in the dark. I always take my phone in with me ( even for a short stay) to check the news (no matter what time it is) – OR to check Juror 13 Comment updates ( Ha!). Also, if the door to the toilet was open and someone started to scream that stuff out, no matter where they were, I’d immediately slam the door, lock it, AND stand right in front of the door with my ear pressed up to it to hear what was going on. Still, I don’t think that’s what happened. OP could argue that the window was slammed so hard it went all the way to the left and then jumped back to the position it’s in now. If a window fist loosely into a track, it could happen. 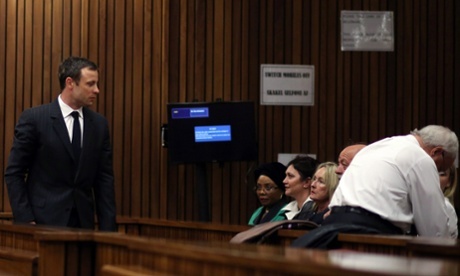 Next PostNext Oscar Trial – How did the State do?